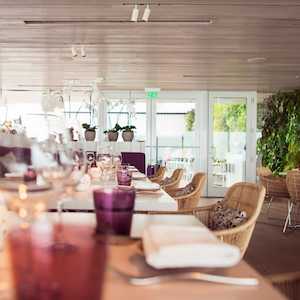 This rooftop restaurant invites you for a cocktail at the bar to watch the sun go down and afterwards a delicious dinner preferably outside on the terrace. On the menu: contemporary Japanese, French, and Peruvian dishes, yum! I love the walk along the South Beach shopping area which is packed with people before dinnertime. This Wynwood eatery is not your ordinary diner, but an industrial-style restaurant whose menu has a spicy Asian twist. Many of their dishes are prepared on a wood-fired grill using a combination of Asian and American barbecue techniques. 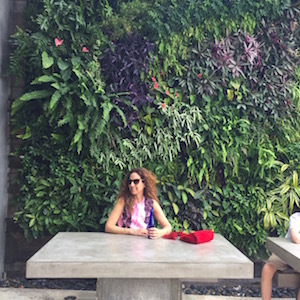 It’s shady and cosy inside, but if you prefer to be in the sun, take the table right at the entrance in front of their green plant wall. 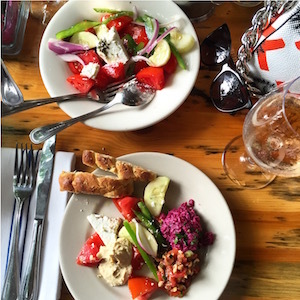 Here you feel like being at a private house in Greece with all your family and friends gathered for a great meal. The food is delicious, homemade, healthy, fresh and green and their home baked bread is so delicious that you want to take it home with you. Try to get a table on the convivial terrace. With the look and feel of a swanky 1920s speakeasy, this bar in the back of the Gale Hotel creates the perfect blend of classic cocktail bar and sophisticated lounge. There is live lounge music and even a patio for cigar smoking, and the expertly mixed cocktails never fail to impress. They even offer bartending classes. 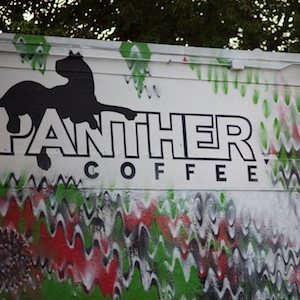 The coffeehouse, which started as a cart on a bicycle, now have three locations throughout Miami. The coffee is excellent – owners Joel and Leticia Pollock roast their own beans – and the atmosphere is so comfortable, you often end up hanging out here for hours. Good thing they also serve cookies, cake and sandwiches. For a sweet temptation, visit this outpost of the famous Parisian tea salon and confectionary at hip Chrome Hearts (see SHOP) and enjoy a mint tea and a raspberry macaron in their pretty courtyard. 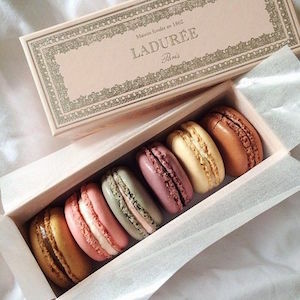 Ladurèe’s pastel-coloured macarons seem to perfectly mirror the Art Deco pastels of Miami. There are many Art Deco hotels in town, and the Confidante got me with their beautiful graphics for their guest communication. They are so inspiring that you would like to frame them. 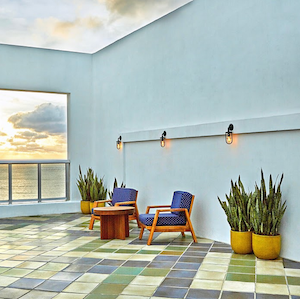 The hotel itself has plenty to offer, too, including direct beach access, an excellent restaurant and an open-air rooftop spa on the 10th floor. If you prefer a smaller hotel, visit the Metropolitan but make sure to take an Ocean view room. One thing I particularly like about the COMO Hotel group is the healthy and delicious breakfast, which will become your favorite meal when checking in. 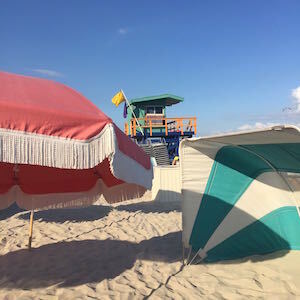 This South Beach hotel in a streamlined Art Deco landmark is famous for its iconic pool shape but also to enjoy a nice lunch at the pool restaurant. It brings you back to another time, especially when you visit the bar and inside interior of the hotel. With sunshine all year round, biking is perfect to explore Miami. One of the most scenic routes is the bike-friendly Venetian Causeway (bike path available), which allows you to ride across the six beautiful Venetian Islands. 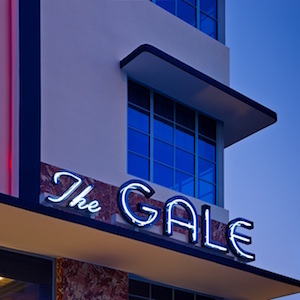 Marvel at the grand residences and enjoy the view across Biscayne Bay. Another classic ride is along the Boardwalk in Miami Beach. It’s easy to rent a bike with Citi Bike Miami. 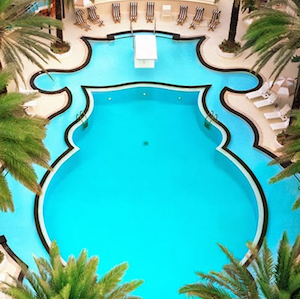 A spa day at the iconic Fontainebleau hotel is easily one of the most relaxing things in Miami. The two-level spa is a stunning oasis of calm, offering a wide range of expert treatments. Plus you can enjoy the expansive Fontainebleau poolscape, featuring 8 pools surrounded by cabanas and sun loungers. Seeing great art is a wonderful way to free your mind and get inspired. 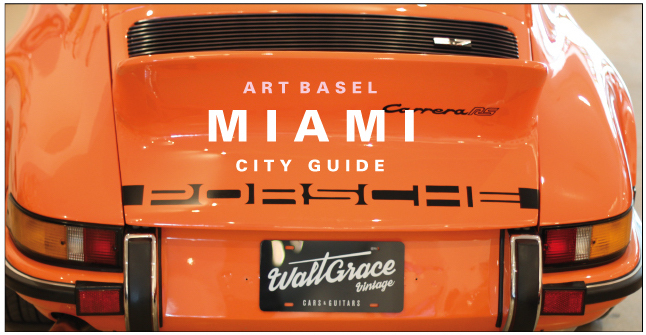 Miami’s winter art fair season is brimming with high-quality events such as Art Basel Miami and the Miami River Art Fair. It’s your chance to see great art from around the world. 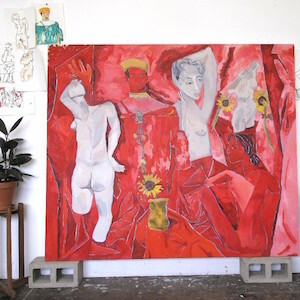 At Art Miami, , for example, the Michael Schultz Gallery Berlin presents works by Baselitz and Richter, among others, while the Martos Gallery features new figurative paintings by Alex Chaves at NADA (see photo). 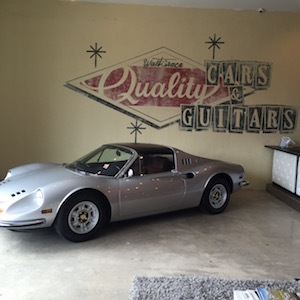 If you don’t know what to give your boyfriend for Christmas yet, go and visit Walt Grace quality vintage cars and guitars and you will find everything a boy is looking for. This flower shop in Wynwood is one of a kind and it is more about flower installations than buying a bouquet. Pop by for inspiration for your next party deco or an artsy spin on succulents and cacti. 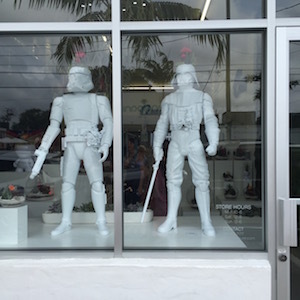 Stroll around the Design District where you will find no ordinary Fendi or Dior boutique but rather art-installed entrances of these fashion empires. 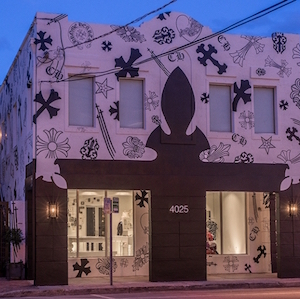 If you are looking for selected Miami must-haves, Chrome Hearts carries a unique selection of art-inspired fashion.